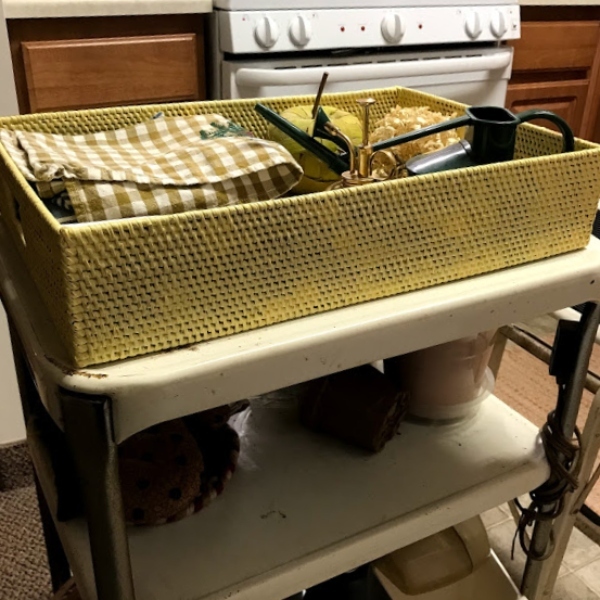 My kitchen is not huge, but the kitchen in the apartment that I am moving to is definitely smaller and I won't have room for my vintage kitchen cart like I have now. I don't need a huge kitchen. After all there is only one of me and I am not doing much in the way of major cooking or baking. 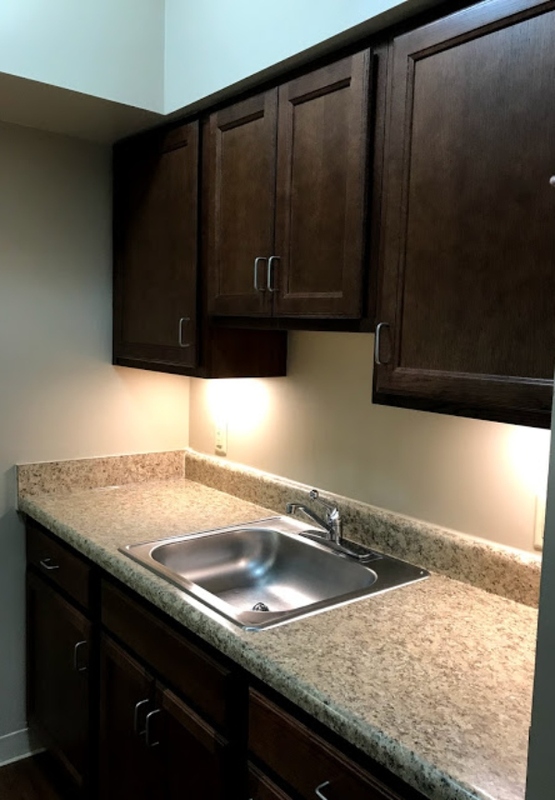 Here are a couple of quick shots of the kitchen I will have in Georgia. As you can see it is a galley style kitchen. 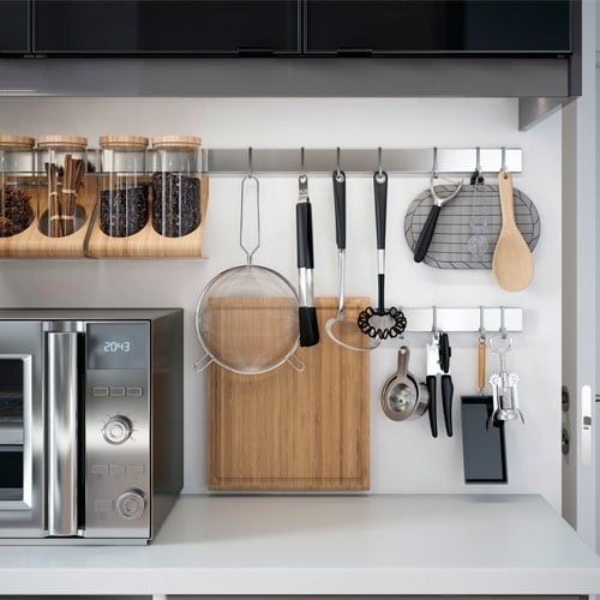 Although I don't do a lot of fancy cooking, I do need storage for all my kitchen gadgets and as there is not a lot of counter space I would like to keep things put away as much as possible. One idea is to utilize the wall at the end of the kitchen as vertical space. I found so many ideas on Pinterest that I meant to post this yesterday but suddenly found I was into the next day. I think I went into a Pinterest trance. There were of course lots of Ikea ideas. They really do have some great options, and as I will be close to one in Atlanta I can shop to my heart's content. I love all of the different configurations and they hopefully wouldn't break the bank. 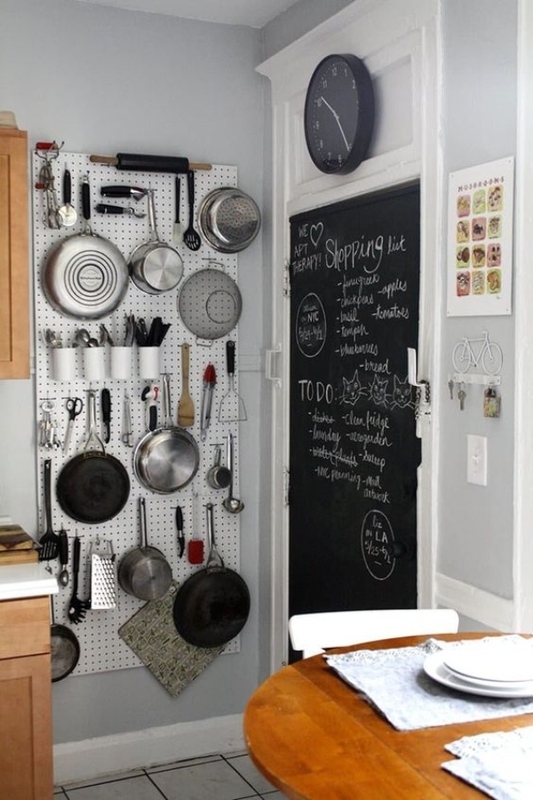 I have always liked the idea of pegboard in the kitchen. This really makes great use of the space. This is clever and cute. 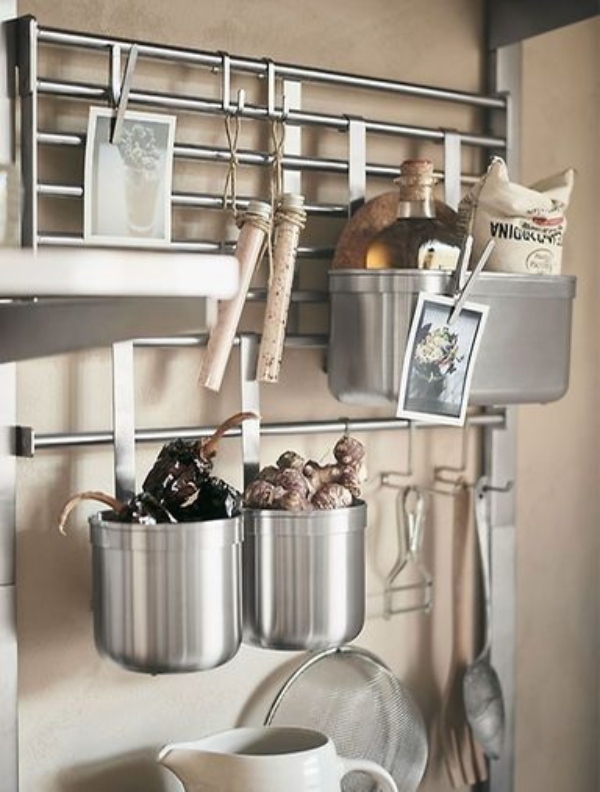 The homeowner has taken bed slats and turned them into a wall unit to hang kitchen gadgets. I am getting a lot of great ideas, but I will have to wait until I finally move in order to make a decision. 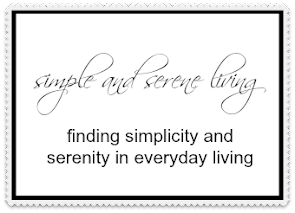 In the meantime I'll be busy pinning ideas to my boards on Pinterest. I know you’re excited about moving to Atlanta.....I’m happy for you! What fun to make plans! I went to you pinterest boards,,,,great ideas! Laura this is going to be such a great move for you. You will be close to your family. I have a gallery kitchen in my tiny house so I know the challenges for storage. I used my german armoire as a pantry and I can store almost everything I have in there. Crock pots, mixers, pots and pans and food also. Do you have any room right outside of the kitchen to maybe put a cabinet on for extra storage. I love all the ideas you have to the wall at the end of the kitchen. Good luck getting ready for your move. Laura I have all my kitchen utensils hanging in a galvanized pocket on a wall. Wish I was close to IKEA. Not one in all of OK. When do you move? 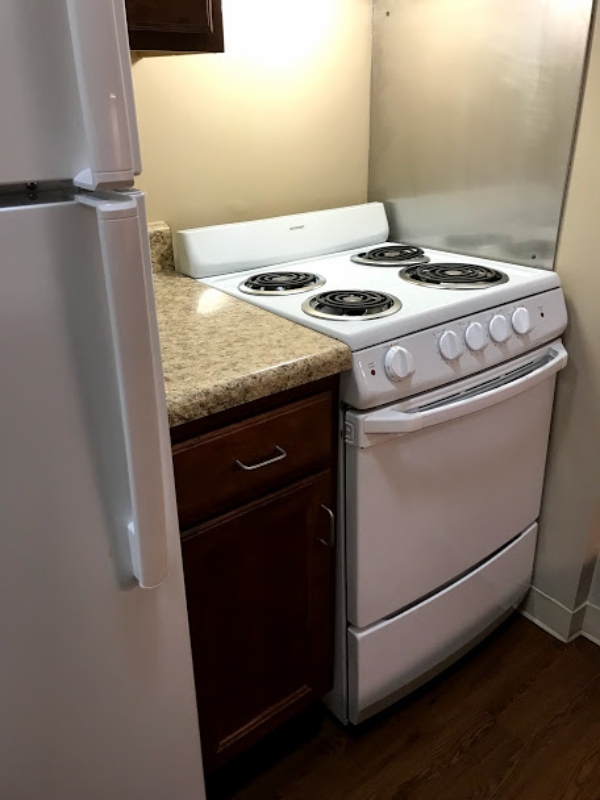 I don't need much in the way of a kitchen either. So excited for you. Pinterest is a place one can loose hours in! Excited for your move! A smaller kitchen is a challenge but I have no doubt you will rise to the occasion. Laura great ideas and I like the pegboard idea. Think, you'll be so much closer to your grandkids. Enjoy looking for solutions for storage. So many great inspiration photos, Laura! It will be fun decorating a new place! 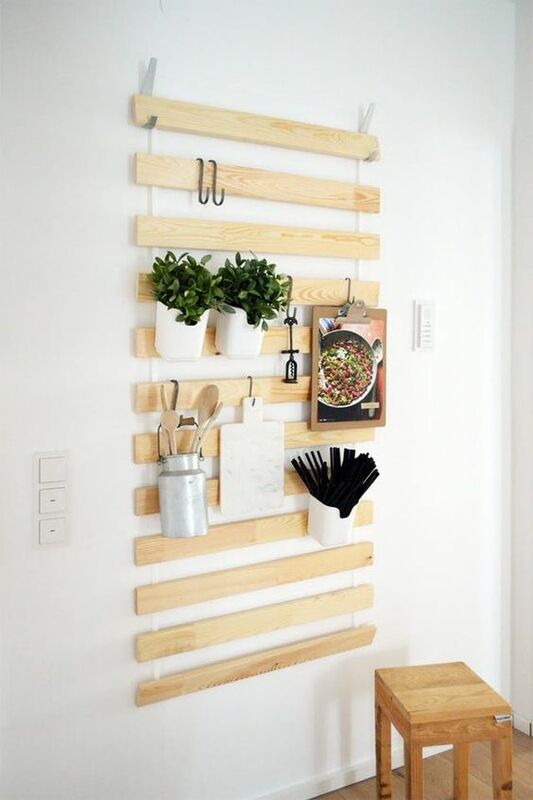 I adore a pegboard in a kitchen, Laura!! Great ideas, you'll figure it out! !